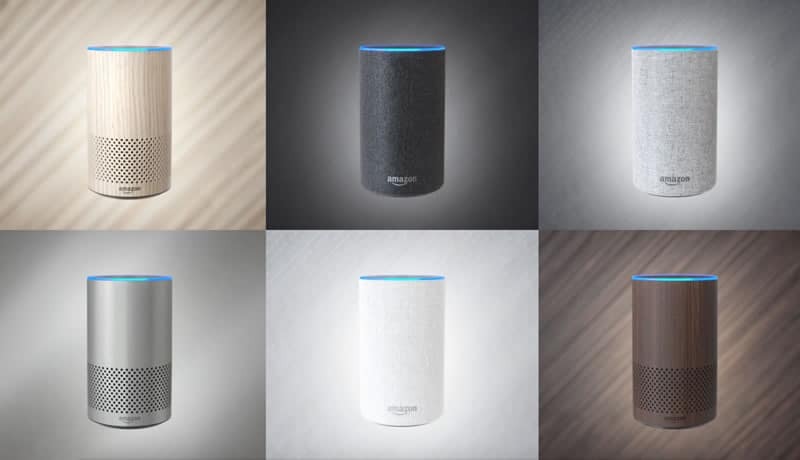 Just when you think Amazon can’t top themselves, they go and unveil not 1, but 3 new Echo devices. And while all of them look great the one that caught my eye was the new and improved Echo. Understanding that the Echo (and my girl Alexa) are pretty much all you need Amazon did a few simple tweaks to its number 1 device to make it, well, just about perfect. Think I’m exaggerating? See for yourself with my review of the all new Echo 2nd Generation. Amazon’s new Echo 2nd Generation, which will be available starting October 31st of this year, is more than just a pretty face. Yes, it is quite striking to look at with it’s sharp heather gray cover, but whats inside is just as impressive. By boosting the sound quality and adding cool new features like Alexa Routines, there’s nothing you can’t do. For me, the fact that there are different covers to choose from is a big selling point because while the original Echo is cute it kinda lacked in the style department. And you may think that’s not a big deal, but it is. The Echo 2nd Generation, with all of its smart home automations, will most likely be front and center in any room- so how it looks matters. So the different fabrics, textures, and colors mean it will look great no matter where it is, whether its in an all-white kitchen or an eclectic living room. And as always, the new Echo 2nd Generation still does everything it did before; it still has unlimited “skills” to do almost any task you need and you don’t have to have a Prime account (though it does enhance what it can do). 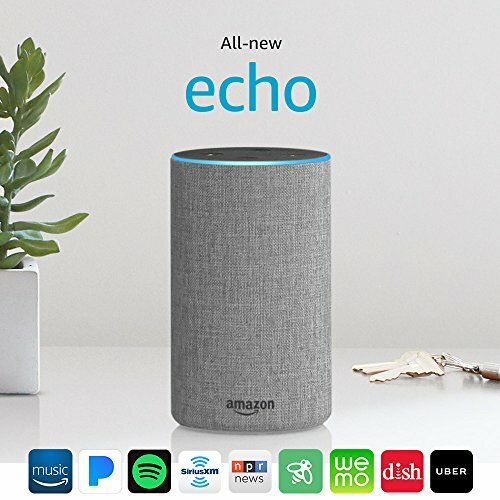 The new Echo 2nd Generation is really something to look at and listen to. Building upon an already stellar operating system they added nuanced but noticeable improvements to put this device in a class by itself. The new casings are fun and give you an opportunity to show your personality while the improved sound system lets you talk to Alexa or listen to some smooth jazz without interference or interruption. Let’s look at the 2nd Generation’s style and functions to get a better understanding of how great it is. For me, the interchangeable casings are my favorite part of the new Echo’s design. It comes with a chic heather grey fabric that looks soft and inviting, but there are 5 other styles and colors to choose from. The other colors and fabric combinations are: charcoal grey, silver, walnut, oak, and sandstone. The charcoal and sandstone are made of the same fabric while the oak, silver and walnut have more of an industrial, hard look to them. And hey, don’t worry if you can’t choose- you can always buy one of each, that’s the beauty of being able to use different cases. Of course, my one complaint is the same as I have for the original Echo- it’s a bit too tall to fit on certain shelving. However, given all the fun cases there are, I don’t mind sitting it on my coffee table for everyone to see. Oh, and one other thing; as with the original, this device needs to be plugged in, limiting where you can go with it. I’m hoping at some point Amazon will make their devices portable, like they did with their Tap, or make a device that has a battery or plug-in option. One of the ways they made the 2nd Generation Echo better is with the addition of far-field voice recognition and speakers that carry sound 360 degrees. The 2.5″ woofer and 0.6″ tweeter is ideal for having friends over for a party or listening to your favorite audio book. The sound is crisp and even, producing deep bass and clear vocals that will make you appreciate every note in a song. In addition to the speakers, the Echo 2nd Generation also has a state of the art microphone system that uses beamforming and noise-canceling technologies for enhanced voice recognition. Which means Alexa can hear your voice in the middle of a crowded room and care for all your needs without hassle. The all-new Alexa Routines makes controlling smart devices easier than ever. Now, you can use one voice command for a series of actions, simplifying what gets done and when. For instance, say “Alexa, good morning” and she will turn on the lights, turn up the thermostat and turn on the TV. All you have to do is set up what actions go with what command and set a schedule, say every weekday at 9 am, and Alexa will do the rest. And if that wasn’t enough, the Echo 2nd Generation now features improved smart home groupings, eliminating the need to have specific names for every smart device. 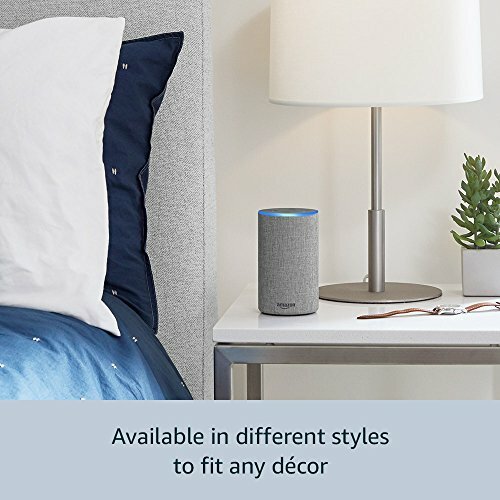 Just put your 2nd Generation and devices in a group and Alexa does the rest. For instance, you can walk into your bedroom and say, “Alexa, turn on the light” instead of asking her to turn on the bedroom light. This makes the whole process less complicated and easier. 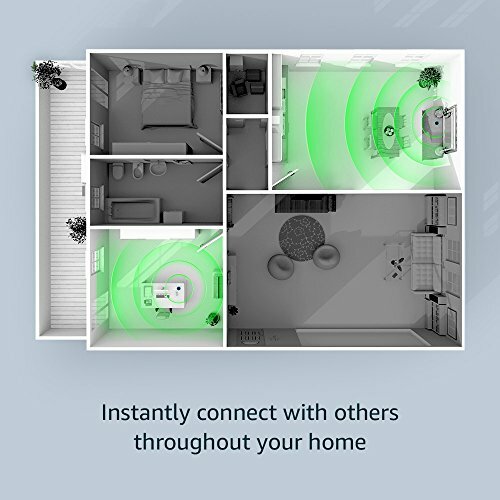 And the 2nd Generation works with Samsung SmartThings, Philips Hue, Zigbee, GE, Nest, Kwikset and other brands, just like the rest of Amazon’s devices like Echo Show and Echo Spot. As many of you know, Alexa, through your Echo, can do a lot. From ordering food to telling you the weather, she can help make your day smoother. The 2nd Generation continues in that tradition, providing you with new skills on a regular basis. It also learns your preferences and can respond accordingly. For instance, if you listen to particular artists and ask Alexa to put together a playlist she’ll make one based on past choices. And your new Echo is constantly learning and adapting. With this new version you can now manage your calendar, access more 3rd-party services (like Uber) and shop easier with features like auto-renewal. 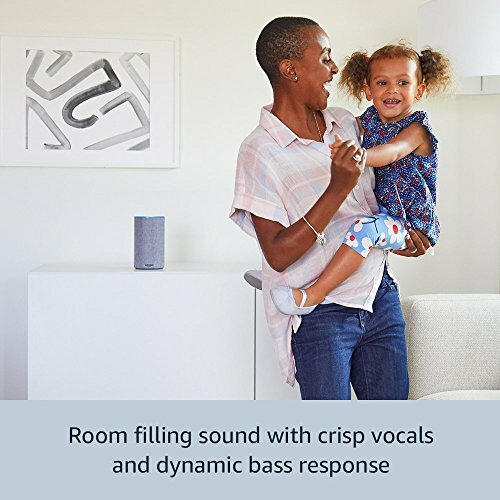 With the newest model, you can call anyone, from your mom to your sister on her Echo. Yes, the all-new Echo lest you place calls to landlines, cell phones, or other Echo devices using the Drop-in features, keeping you hands-free but connected at all times. So you can call your sis to ask for mom’s chocolate chip cookie recipe or remind your spouse to bring home a bottle of wine while your peeling potatoes. Call anytime from anywhere in the house. So, how great is the Echo 2nd Generation? Well, let’s compare it with the original Echo to find out. Looking at the 2 models, they have a lot in common. They are the same size and height and can both navigate your daily tasks using Alexa. However, the Echo 2nd Generation, in my opinion, has a lot more to offer. The different cases are ingenious, especially if you are like me and want everything in your home to match or compliment each other. More importantly, the sound is on a different level. From music to CNN updates, it delivers loud, clear, audio that the original Echo just can’t. And the added microphones lets you talk to Alexa without needing to shout or lower the TV, making the 2nd Generation my top choice. I think having read our Echo 2nd Generation review it’s pretty clear that this new and improved model is worth your investment. From the fun and fresh new design to the incredible sound, this is a complete package that will get you through your day with ease. The affordable price, coupled with its impressive features make this a deal too good to miss. Pre-orders start now, so if you’re interested to get one today. Smart Home Do's & Don'ts Buying Guide: Get it Right the First Time!